What's funny about being a plush artist that goes by the name "Skunkboy" is that I never make skunks. NEVER. The only skunk I've ever made was in the very very beginning, and I gave that to my best friend who was moving away at the time. 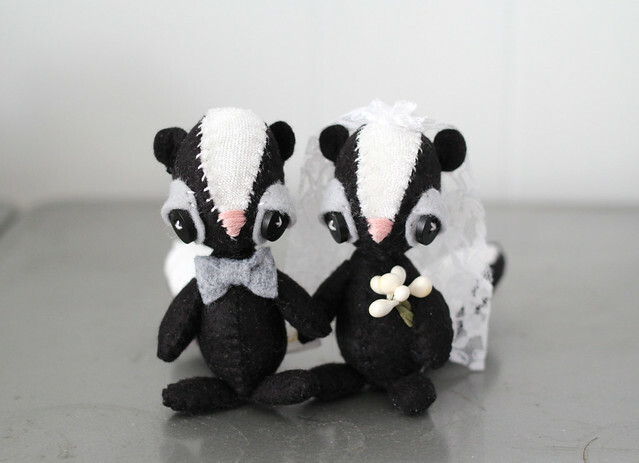 She named him Skunk Boy (you know, like Golden the Pony Boy from "Science of Sleep") and I liked it so I kept it for my brand new artistic adventure-- sewing softies. Fast forward a good handful of years and I get my first request for skunk toppers. Well, I'm sure I COULD make skunks... but I haven't in years and now there is this weird pressure that's been building up because it's something I have kind of avoided. That was silly. All silly. 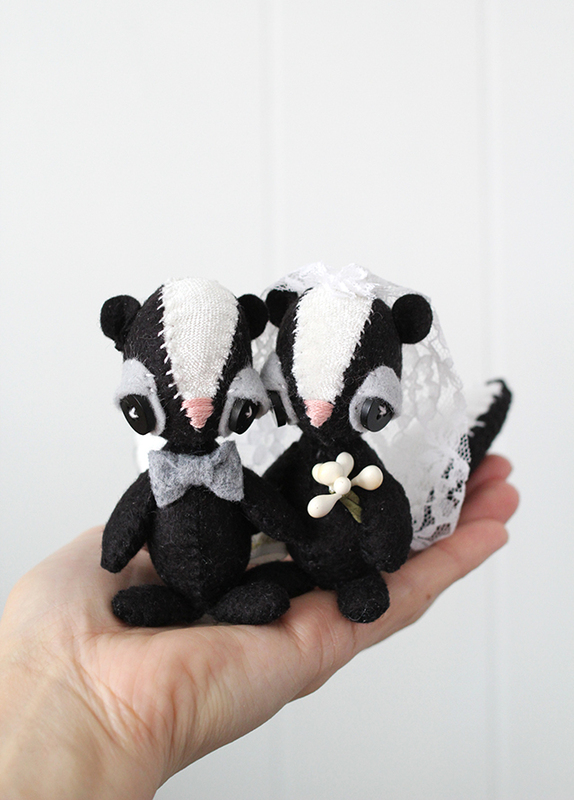 I made some skunks, I like them, and I plan to do it again. Whew. Your new skunks look absolutely adorable. Too bad the first set got lost in the mail. So frustrating when that happens! Oh my goodness. I just died of cuteness overload. Those are beyond adorable!! You make the cutest stuff. how lovely they are :3 beautiful! oh my gosh, they're precious!!!! i always wondered where you got the name "skunkboy"! i love these cake toppers. they are seriously the cutest! so cute!!! I love your work! So incredibly cute! As a girl planning a wedding I love whenever I see your wedding animals! Love them. They are perfect! These guys are adorable! And I love where you got your name from. It's perfect. They are too cute!! I've had a few people suggest I try wedding owls. I'll have to give it a shot. I really like the pretty birdies you make with the legs.... too cute. Hi Katie! I know this is an old post, but I've been cruising around Missouri blogs tonight and came across yours. It looks like you might be a fellow SWMO gal, but not sure. Anyhow, love your little creations. If you are in SWMO, I'm wondering if you've met my friend Dani who blogs at Be Good Natured. She's a needle felter and makes amazing little softies too. 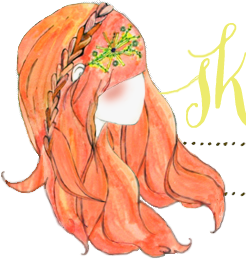 Anyhow, I wanted to say hello, but I also wanted to invite you to come check out Missouri Women Bloggers. I would love it if you would come over and check out the website - we are a fairly new community, but have pretty simple goals - to gather, grow, and connect bloggers by providing support and networking as well as compensated opportunities with brands and companies. I would love to have you join us - we need more experienced member bloggers! Our URL is http://missouriwomenbloggers.com. Just an update, but we finally got engaged!! Yes, I ordered these in the second year we were dating and now we will finally be able to put them to use. 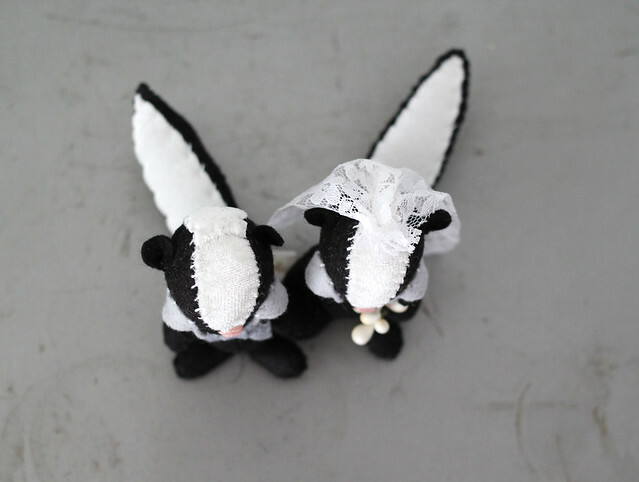 Thank you for making our adorable skunk toppers. Bekka! Congratulations! These are some of my very favorite animals I've ever made, so thank you!!! !